To compete in today’s increasingly global economy, tomorrow’s workforce needs to be highly skilled in science, technology, engineering and mathematics — the subjects that make up the STEM curriculum. That’s why Toyota, Southern Methodist University (SMU), and Dallas Independent School District (DISD) have created an initiative to ensure that students in one of the city’s most traditionally underserved communities have access to opportunities that will set them up for future success. In collaboration with the Annette Caldwell Simmons School of Education and Human Development at Southern Methodist University, DISD is creating a new STEM-focused, PreK-8 school to serve families in West Dallas. Additionally, Plano-headquartered Toyota Motor North America is funding curricula development and teacher training via a $2 million grant from the Toyota USA Foundation. The goal of this partnership is to prepare students for the next generation of STEM jobs and to provide them with both the expertise and innovation mindset they need to thrive. 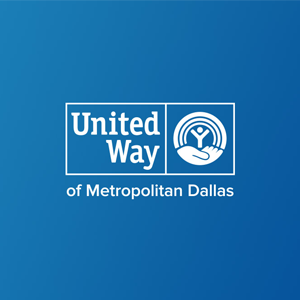 Toyota and SMU will also be getting nonprofits already active in West Dallas involved. The School Zone and other partners will work to address literacy, transportation and after-school care. “Collectively, our goal is to create a brighter future for students, help families become more resilient, and create a community and school model that can be replicated,” says Mike Goss, president of Toyota USA Foundation. There’s data to support this favorable outlook. According to information collected by the Education Commission of the States, STEM jobs are projected to grow 13 percent in the next 10 years. Compare this to just nine percent in other fields. On average, STEM jobs also offer substantially better pay. The Pew Research Center reports that those active in STEM-related careers earn about26 percent more than their non-STEM counterparts. Further, this study concludes that workers with a STEM-centric college education stand to make more even if they find employment in a non-STEM field. By collaborating with SMU and DISD, Toyota — a recent arrival to North Texas — is looking to make a positive impact in the community it now calls home. Ultimately, this venture is also a tribute to its partners’ faith in both the talent and potential of the people who live and work in D-FW. To learn more about how Dallas is well on its way to becoming one of the nation’s hubs for STEM careers, visit toyota.com/usa/community.